Author of the exceptional debut Blackwing and the soon to be available Ravencry, Ed McDonald has been kind enough to write a guest blog. It’s an interesting insight into his creative process and well worth a read. If you want to raise a wry smile among a group of writers, this is the question that will do it. It’s a highly complicated question, and the truth is that often, we have no idea ourselves. For some novelists there may be a single theme or idea that inspired the writing of a book, such as an experience in childhood, but for me that’s not the case. In this wonderfully hosted guest blog, I thought that I’d showcase how certain elements of Blackwing and Ravencry came about, and the kind of insight they might give into my own rather chaotic, haphazard writing ‘process.’ Although I’ve said before that there’s as much conscious ‘process’ in what I do as there is to throwing a bunch of alphabetti spaghetti on a plate and expecting words. There are a number of places that ideas come from. Some emerge at random, some are long held passions, and some are engineered for plot reasons. For those that consider themselves writing ‘Gardeners’ then some of these things may seem familiar. I don’t really know where Galharrow came from. Galharrow was never an idea. He never existed in the sense that I sat down and tried to choose character traits for him. Everything that he is, from the narrative voice he tells the story in to the actions he takes, to his appearance, was either pre-formed in my mind, or developed subconsciously without any active thought. I wanted him to be 6’6 and weigh 300lbs because I knew he’d have a lot of action to get into, and physical prowess was going to help him out. His size also allows him to carry other people around, which is really handy. But the alcoholism, his lack of sympathy, and his ultimate nobility and heart were just kind of. . . there. His backstory emerged mid-page as I was writing. Nenn was never a conscious decision. In Draft 1, there was a character called Shent, who was supposed to be Galharrow’s right hand man, but he split into Tnota and Nenn. Nenn was a throwaway, one-line character, whose missing nose was mentioned purely as a fun detail to show that Galharrow’s company were scarred and war-weary, but as soon as I’d written her first expletive filled line, I immediately knew who she was and how she acted. I didn’t expect Nenn to become a fan favourite, or one of my own, and at times she ends up stealing the show. She became the counterpoint to Galharrow’s regretful, grumpy, calculating, brooding exterior; Nenn is reckless, savage, always wearing a grin and is defined by how little she cares about other people’s opinions – or at least that’s what she wants to present. In Ravencry we see beneath that surface. I really love how she evolved through the pages. But you did worldbuilding for the Misery, right? Alas, no. 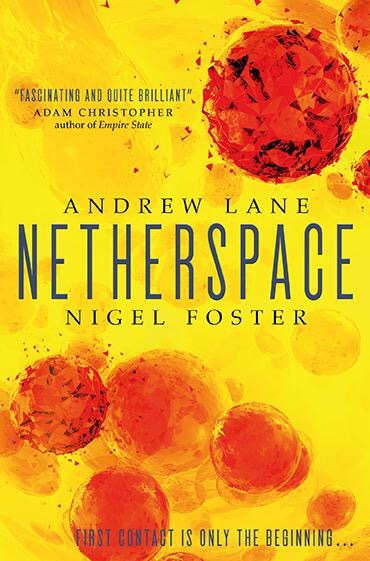 In fact, I don’t do any worldbuilding in the sense that people would normally mean – there is no heaving file of notes. I prefer to create details as I go along. For the Misery, I needed there to be a wasteland that divided two kingdoms at war. I also needed a reason that the larger, more powerful kingdom wasn’t simply marching over to claim victory, and the Engine (early names for Nall’s Engine were The Lightning Web and The Storm Wall) was created to provide the stalemate. Once I knew what Nall’s Engine was, it made sense that it would leave some bad magic in its wake. As it happens, that bit of story crafting then became the key plot element in both RAVENCRY and the book that will follow it. So nothing is inspired or deliberately plotted? No, not so. Sometimes I need something for a plot reason, or sometimes I just want to write it. My grandmother told me her stories of life during The Blitz in the second world war. She lived in Coventry, a major manufacturing centre in the UK, and as a young woman she had to endure the nightly bombing raids. Some of her stories were too inspiring not to write them into RAVENCRY. I don’t think that you can really capture the terror of such a time, but I hope that I’ve done some justice to expressing the helplessness felt by the innocent during periods of industrialised war. If you are like me – and you probably aren’t – and if you find that you’re not sure where to start, then just start writing. Trust that your subconscious, silent mind: it probably has much better ideas than anything that your vocal inner monologue is going to push out. Let those ideas flow, and if they aren’t flowing, go and look at the world, go sit somewhere else, take a walk, and then just start writing. I’m seldom aware of my own ideas until after I’ve written them. 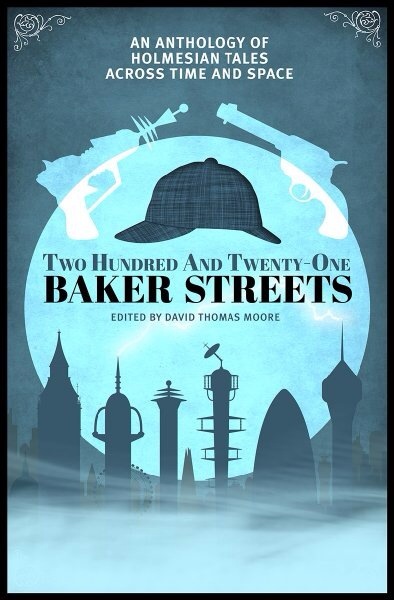 The follow up to Ed McDonald’s Blackwing is set for release and I have the review copy next up on my reading list. In the meantime, the wonderful people at Gollancz have included me in a blog tour for Ravencry. So, if you’re as excited about the second book as I am, please check out all the great content getting posted using the handy guide above. Author of the action packed Into The Guns William C Dietz, has kindly written a guest blog explaining how his latest novel came to be. The first part of that sentence sounds okay, to me at least, but the last five words are troubling. They could be interpreted to mean that individuals are in no way responsible for helping others if they don’t want to especially via the mechanism of government. To my mind that suggests a Darwinian “survival of the fittest” attitude toward society in which every man and woman’s first obligation is to take care of themselves, and to hell with the elderly, the sick and the poor. What if something terrible happened? I wondered. What if a swarm of meteors devastated much of the Earth’s surface, and threw so much particulate matter up into the air, that the amount of sunlight reaching the planet’s surface was severely reduced? Crops would fail, people would starve, and a great deal of civil unrest would result. Libertarians have never been able to compete effectively with the two major parties in the United States, but if society fell apart perhaps they could I decided, especially in the south. And that, as I mentioned earlier, is where all of the country’s petroleum reserves are located. Things came together in my mind, and boom! I was off and running. 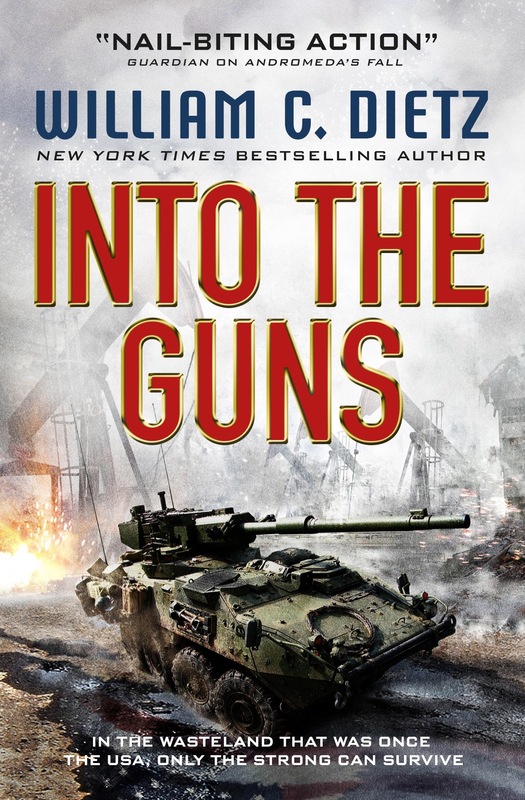 Into The Guns is the first novel in the America Rising trilogy. Having created a dystopian scenario the next step was to populate it with characters both good and bad. Samuel T. Sloan is the Secretary of Energy when the meteors strike—and is on an official trip to Mexico. Due to the chaos it takes weeks for Sloan to make it back to the U.S. where forces working for the libertarian oligarchs intercept Sloan and lock him up. Meanwhile army lieutenant Robin Macintyre is escorting a column of civilian refugees across a mountain pass, when a secondary disaster cuts her unit off from the military chain of command, and forces “Mac” to fend for herself. Eventually both characters will play important roles in the fight to reestablish the America that was—and will meet during a desperate battle deep inside of enemy territory. Into The Guns is available online and in bookstores now. Malcolm F. Cross, author of Dog Country, reviewed here, has very kindly taken the time to write an intriguing insight into the thinking behind his exceptional debut novel. Democracy by the dollar: Mercenaries, crowdfunded regime change as part of the service economy, and why I wrote about gengineered dog-soldiers in Azerbaijan. January 2011. For the people on the ground, the Arab Spring was (and continues) to change the very fabric of their lives. It meant a lot more to them, and always will, but it changed my life too. I wasn’t a protestor, just watching it take over the news cycle. And it got me thinking. I wanted to do something about the brutality and the bravery I saw, something about the issues that had never affected me and the struggles I would never have to fight for. I wanted to make their story my own, and I couldn’t. Maybe, I realized, I shouldn’t. But isn’t that the story that is mine? The story of the white westerner intervening where he (inevitably he, because this culture I’m part of has systematically failed its women) wasn’t wanted? In a place he didn’t — couldn’t — understand? Whether it’s Vietnam, the Gulf, Bosnia, or Afghanistan, Sierra Leone, Libya, Kenya, the Congo, Nigeria or even Ireland, the modern military policy of intervention away from home is a thorny one. One that can compellingly be argued has done more harm than good. Much of it is couched in terms of bringing about the downfall of dictatorial regimes, arguably all in an attempt to recapture the moral high ground of Hitler’s defeat in 1945. The search for that high ground has poured fuel into the engines of hatred, racism, and human suffering. It’s a story that’s changing, however. Both for the better and the worse. The rise of the private military company, the sanitised way to refer to guns for hire, is impacting interventionism. There are those fighting to turn private military companies, PMCs, into a regulated industry. Open, honest, as dependable and morally upright as any national army. On the other hand, Blackwater Security has been rebranded twice, first as Xe Services, and then as Academi, after the well-publicised killings in 2007. 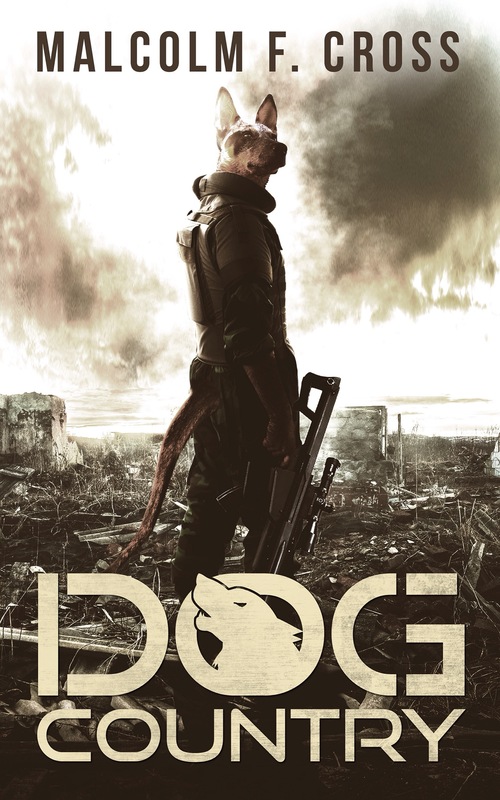 Somewhere between the rise of PMCs, the Arab Spring, and the shifting nature of capitalism, I found the story I wanted to turn into my debut novel, Dog Country. It seemed so logical to me. It still does — not that I really think it’s a workable system. Libya’s people were begging for international aid, much as Syria’s are now, desperate to overthrow the dictator over their heads. And while poverty is a major problem in these nations, there’s still money. A fond assumption I have is that almost everyone has five dollars. It might be a huge sum, or a meagre one, but whether it’s saved over weeks or fished out of pocket change, a person has five dollars. There are more than five million people in Libya — twenty five million dollars buys a hell of a lot of military hardware. I checked – Kickstarter prohibits crowdfunding for weapons, but it doesn’t prohibit funding people capable of holding weapons. There are some funny ideas in this world — there are Libertarians who believe, genuinely, that the free market economy can function as a form of governance in and of itself. I don’t really agree, but what would a working free market government, rather than a failed one, actually look like? Assuming a state had formed on that basis, its free-market security forces would naturally be willing to fight someone else’s wars. And, assuming no monopolies or profiteers — very unlikely, but let’s make that assumption — they could provide this service cheaply and efficiently. Why not crowdfund the revolution? Why not write a story about the kind of person this capitalist culture might create as a product, and send them off to explore what this kind of interventionism might be like? After all, western culture and toxic masculinity push very hard at turning young men into people willing to do violence and eschew emotional intimacy. Given genetic engineering, why bother breaking young men into shape when it’s possible to build someone from scratch? Or skip some development time and start with a dog. After all, we’ve been genetically modifying dogs to make them into what we want for the entirety of human history. The only question I had left was where I’d send my corporate-designed soldiers. I wound up going through a list of authoritarian regimes, and I picked one off the top — Azerbaijan. It was an arbitrary choice, one I’m not entirely comfortable with fictionalizing given the wealth of human rights abuses the Aliyev regime are perpetrating even now, but in a way that made it a good fit for the story I wanted to tell. A story about western interventionism that didn’t whitewash away the damage interventionism can bring about, a story about people-powered revolutions. More importantly, a story about the experiences of those who leave their homes, travel around the world to a place they never knew existed, and fight in wars they have no reason to care about. Because of interventionism, there is a generation of (mostly) men who now know what it is to be an alien stranger, not entirely wanted, far from home. Dog Country is, I hope, a story about finding a way to come home afterward.